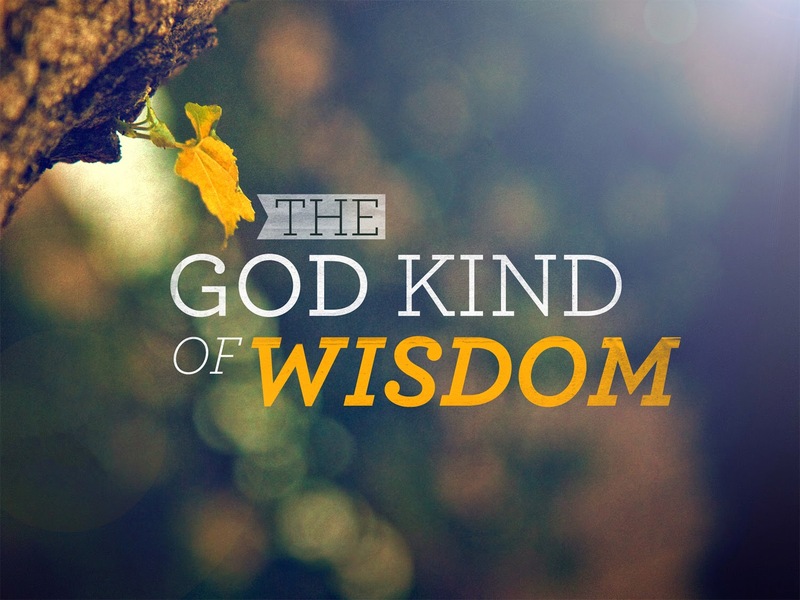 Ecclesiastes has been included in Scripture to show us that even the wisest man on earth can miss finding God when he depends on his human cleverness. Jesus once said, "I thank You, Father that you have hidden these things from the clever and the intelligent, but you have revealed them unto babes" (Mt.11:25). What do babes have that clever and intelligent people do not have? Humility; It is very difficult for a clever, intelligent person to be humble. It is not wrong to be intelligent, but it is certainly ungodly to be proud of one's intelligence. Proud men can never understand God's ways, no matter how intelligent they may be. Ecclesiastes demonstrates how one can have a lot of knowledge and yet not be spiritual at all. The human wisdom that is found in psychology today has many good things in it. But it is not divine wisdom. And it is more dangerous when divine wisdom is mixed with human wisdom than if you had human wisdom all by itself. If someone wanted to poison you, he would mix a little bit of poison with a lot of milk. Things that are totally bad are easy to detect. But psychology has a lot of good in it - and that is why it can be dangerous. It is not divine wisdom. Divine wisdom comes from the Scriptures alone. Many things that psychologists say, who do not submit their minds to God's Word, are wrong. If you follow them, you will go astray. In Ecclesiastes Chapter 3:1-8 we find that Solomon was a keen observer of human nature and the world. After many years of observation, he discovered that there was a time and a season for everything that happened. There are true and false statements here. Psychology is a mixture of truth and error. Solomon says that there is a time to give birth, a time to die and a time to plant. All of that is correct. But then he goes on to say that there is a time to kill and a time to hate! For a spiritual man, there is never a time to kill or to hate - and there are no human beings he hates. A spiritual man dwells in God and loves all people, all the time. There are psychologists who teach that if you are angry with your father, the way to get rid of your anger is by beating a pillow, imagining that that pillow is your father! Solomon probably believed something like that when he said that there's a time to hate. But that's not God's way. Jesus said, “Love your enemies." So here is an example of Solomon's worldly thinking coming in to this book. Religious preachers add their worldly wisdom to God's Word when they preach. We need to be careful here. If we don't live in humility and brokenness before God, it is easy to be led astray by human wisdom, because much of it sounds right. Let me give you one example: A new teaching has arisen in Christendom called "visualizing". This teaches something like this: "Close your eyes and visualize that you are going to have 5000 people in your church, even if you have only 5 right now. Visualize that you are meeting in a very large building, even if you are meeting only in a small house at present. If you are lame, visualize yourself walking. If you only own a scooter, visualize yourself owning a nice, new car - then you will have the faith necessary to get these things - and you will get them." Most of such visualization is in relation to earthly luxuries and large church-buildings, etc., I have never heard anyone teaching people to visualize themselves “taking up the cross and dying to themselves and following Jesus"!! The teaching of visualization comes from the modern “New Age" philosophy (which is a counterfeit of Divine truth) and from psychology, not from the Bible. Yet many believers who don't have discernment imagine that this is how they can increase their faith. Faith is not based on visualization. Romans 10:17 is clear that "faith comes by hearing and hearing by the Word of Christ". Faith can be based only on what God has spoken. Abraham could not have got Isaac by visualizing that Sarah would give birth to a boy. His faith was based on God's clear promise. You can't start visualizing whatever you want and expect God to give that to you. That's the teaching of psychology, not of the Bible. Positive thinking may be good for business people, but it is not Biblical faith. Jesus and the apostles did not do miracles by visualization or by positive thinking. It is easy in these days, to be deceived by such counterfeits. The book of Ecclesiastes therefore has a warning for all of us in these days, of the danger of depending on human wisdom. 1. Powers assigned to frustrate this month, die! In the name of Jesus. 2. You the month of March you shall favour me, by the power in the blood of Jesus. 3. O lord my God, in this new month, let my story change, in the name of Jesus. 4. Father lord, in this month of completion, complete your good works in my life, in the name of Jesus. 5. My Testimony, Manifest ! by the power of the holy ghost. 6. The promotion that will announce my destiny, manifest by fire, in the name of Jesus. 7. I laminated my life and my family with the blood of Jesus. 8. Throughout the year, People shall not have a cause to say to me; Sorry! In the name of Jesus. 9. I shall not be used as Sacrifice; my family shall not be used as sacrificed by the power in the power of Jesus. 10. Father Lord! Announce my name for promotion this month, in the name of Jesus.